Keep skin blemish free by quickly reducing breakouts with this maximum strength formula. This mask unclogs pores to unblock trapped dirt & oil. Skin is left free of acne & pimples while willow bark purifies pores to prevent further breakouts. How The Mask Looks From Inside ?? 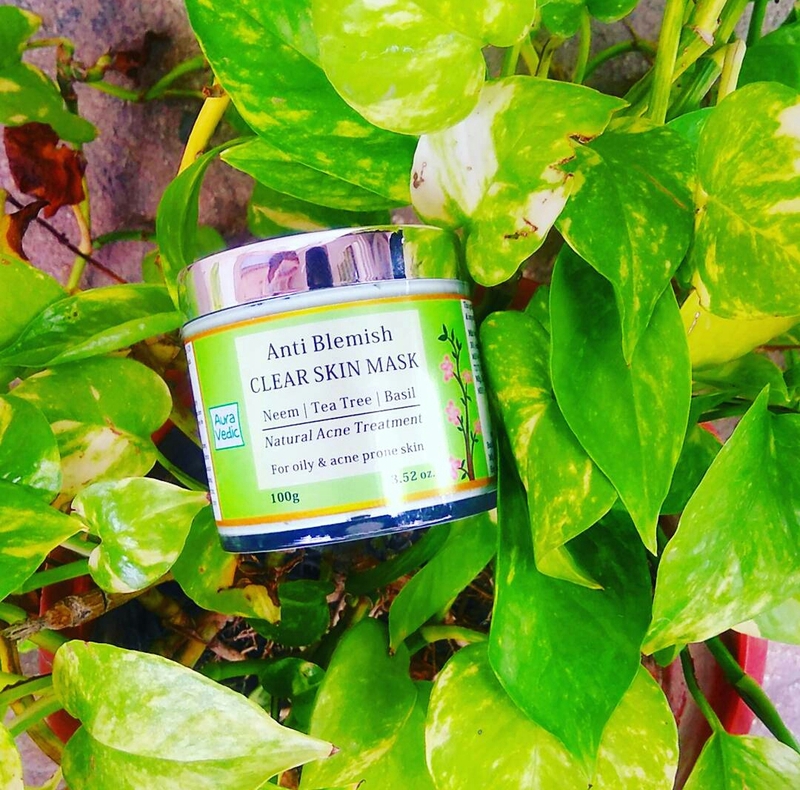 It’s Beautiful Light green Coloured clay mask Specially Formulated For Oily & Acne Prone Skin !! The Consistency Of The Mask Is Thick , thus helpful in performing the qualities of its Ingredients !! Deeply Cleanse your face Properly With Any Mild Toner or Cleanser before applying this clear skin mask. Keep on for 15-20 minutes before gently washing off with water. Use daily for maximum results. Perform A Patch Test Before Using it on the facial Skin to check the sensitivity of the skin !! The Product Retails For Rs. 400/- Which Comes In A Cute 100gms Plastic Round Tub !! The Shelf Life is 2 years from the date of manufacturing !! Store It In the Cool , Dry & Dark Place to avoid Drying the base of the Product !! What’s Good About The Products Of It’s Brand ?? This Mask Is Very Very Effective For An Acne-Prone & Oily Combination skin types !! I Tried this Product Twice & Find Very Good For My Skin !! As It Calms My Milder acnes & lesser the appearance of its scars !! FOR Normal To Dry Skin Types They Guys Have Other Variant of the facial Mask which is ” Skin Brightening Formula Mask ” !! Looking Forward to Try That as well !! It’s Leaving a Cooling Sensation & That Glowing skin After Which is Now proved to give a 5 Star Rating from Myside ⭐⭐⭐⭐⭐ !! While The Mask is on Our Face , we can take a beauty sleep For About 15 minutes by taking a nap , Put a Slices of Cucumber/ Potato On Our Eyes & Voila !! This Helps In Achieves More Effectiveness Of the ingredients of the mask !! But if we have to finish off some other Work during , then We can do Multi-masking Too .. But Make Sure Your Mouth is shut for a while , to avoid breakouts which can cause Wrinkles on our skin !! ???? I Hope You Guys Find This Review Helpful .. Leave Your Comments in the Comment Box Below & Let Me Know your thoughts about this Product !! Enjoy This Week Queen size & have a Fantastic day ahead !! Product n revi dono hi bahut accha hai ?? Acne problem to mujhy nahi isliye iske dusre varient k review ka wait rahega ? Plz aap faceshop bamboo gel ka review kariyega ?? Looks like a really nice mask, all good things in it. Organic skincare is the way to go. I’ve personally witnessed the damage that chemicals can do to your skin!